SAP certified software components must be registered in the SAP Solution Manager. This facilitates quick and easy analysis by SAP support should there be a problem. All of the essential information concerning the software component is registered in the SAP System Landscape Directory. This can be carried out in the next step of the configuration. The necessary information for the registration can be obtained from your SAP Administrator. 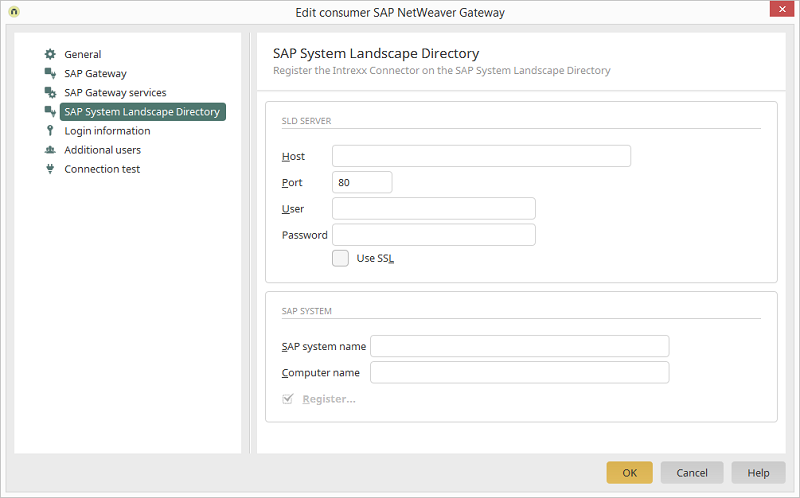 Here, you can register the Connector in the SAP System Landscape Directory. To do this, enter the SAP System Landscape Directory system parameter.